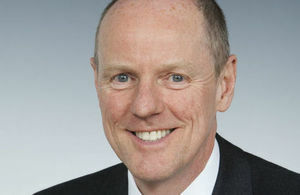 New work to raise education standards for the country’s brightest pupils from disadvantaged backgrounds will begin today (27 April) as Education Minister Nick Gibb invites organisations to manage new funding designed to support their academic attainment. The £23 million Future Talent Fund programme will test new and innovative ways of helping the most talented disadvantaged pupils to remain on their high performing trajectory and prevent them falling behind their more affluent peers. The new fund manager will run and evaluate a trial of projects from January 2019 which will help all schools to support their most able, disadvantaged pupils – to address the drop off in academic performance between key stage 2 and key stage 4. This will help to build on the government’s record, with 1.9 million more children now in good or outstanding schools than in 2010 and the attainment gap between disadvantaged pupils and their peers narrowing by 10% at secondary and 10.5% at primary since 2011. "Academic standards are rising, with 1.9 million more children in good or outstanding schools than 2010 and importantly, the gap between disadvantaged pupils and their peers narrowing. But we want to make sure every child reaches their full potential and is not held back because of their circumstances. "Through this Future Talent Fund we will test new and innovative approaches so that we can find out what works best to ensure the brightest pupils from the most disadvantaged families can excel in their education." • 75 projects sharing £25million to provide more support for schools, many of which will increase pupils’ literacy and numeracy skills, and help to the attainment gap. • Enrichment activities: which could include after-school classes, extra-curricular activities or visits. More pupils from disadvantaged backgrounds, Special Educational Needs (SEN) pupils and pupils on free school meals are being entered for English Baccalaureate (EBacc) subjects compared to last year, ensuring pupils have the knowledge and skills they need for future success.